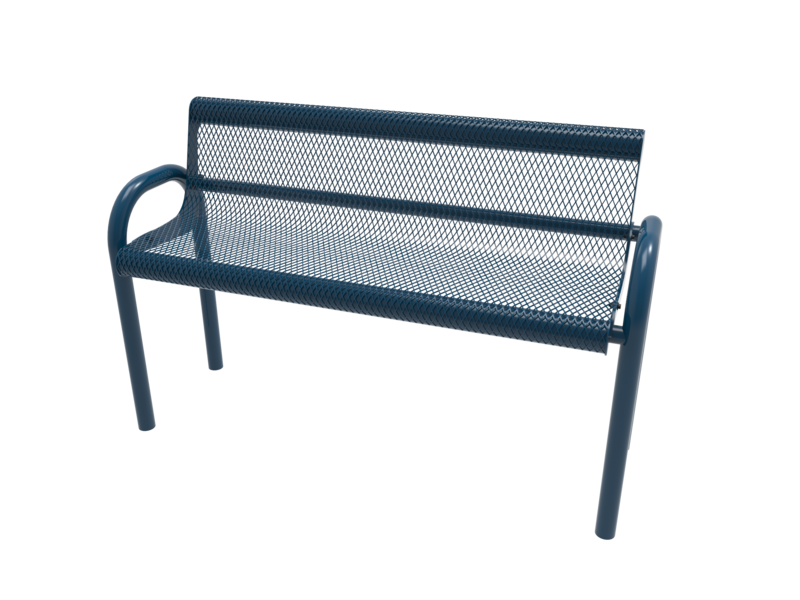 Choose between outdoor benches with a textured thermoplastic coating and powder coated legs or the premium park benches that are completely coated (both seats and legs) in a thick rugged plastisol vinyl. 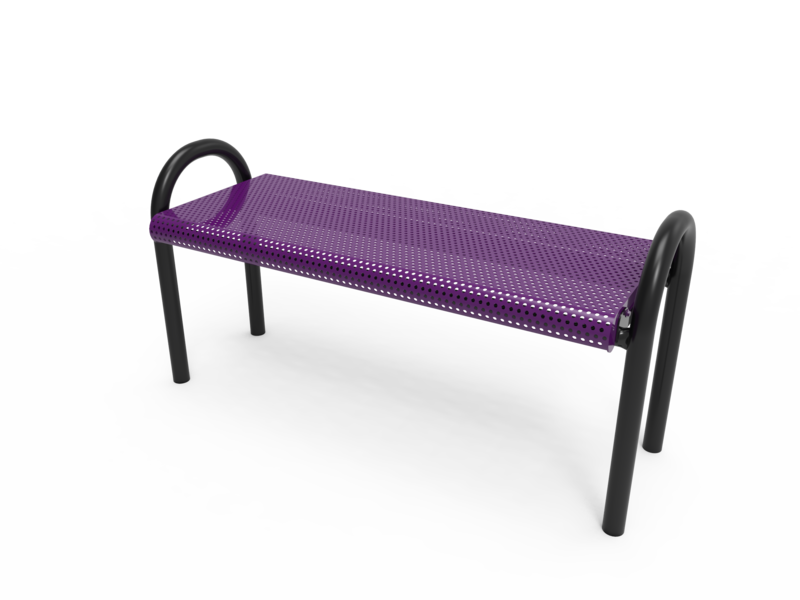 The thermoplastic benches can be ordered with different colors for the legs and seat while the plastisol park benches come in one color for the entire unit. 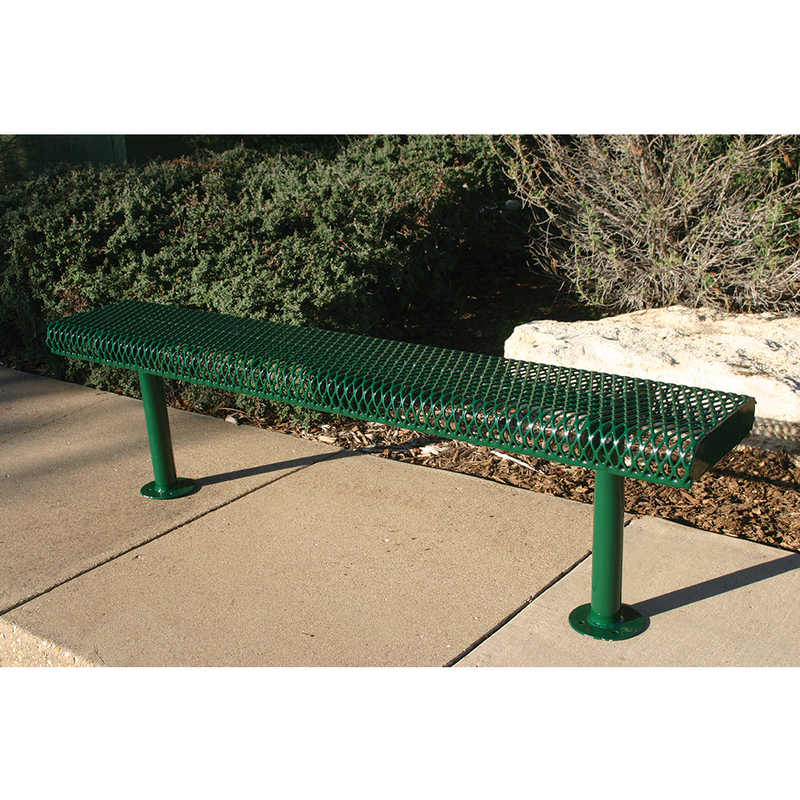 Most benches are available in 3 mounting options: Portable, In Ground, or Surface Mount. 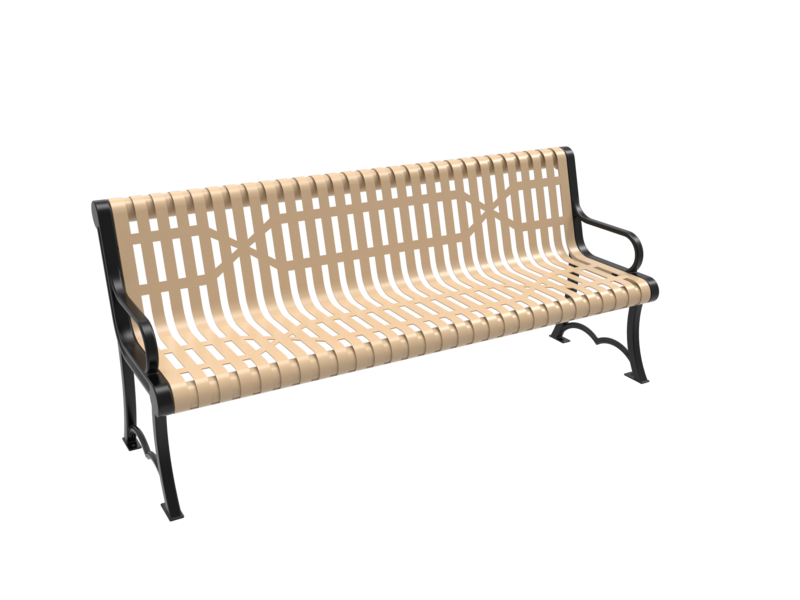 Buy with confidence because each park bench is custom made just for you, right here in the U.S.A. 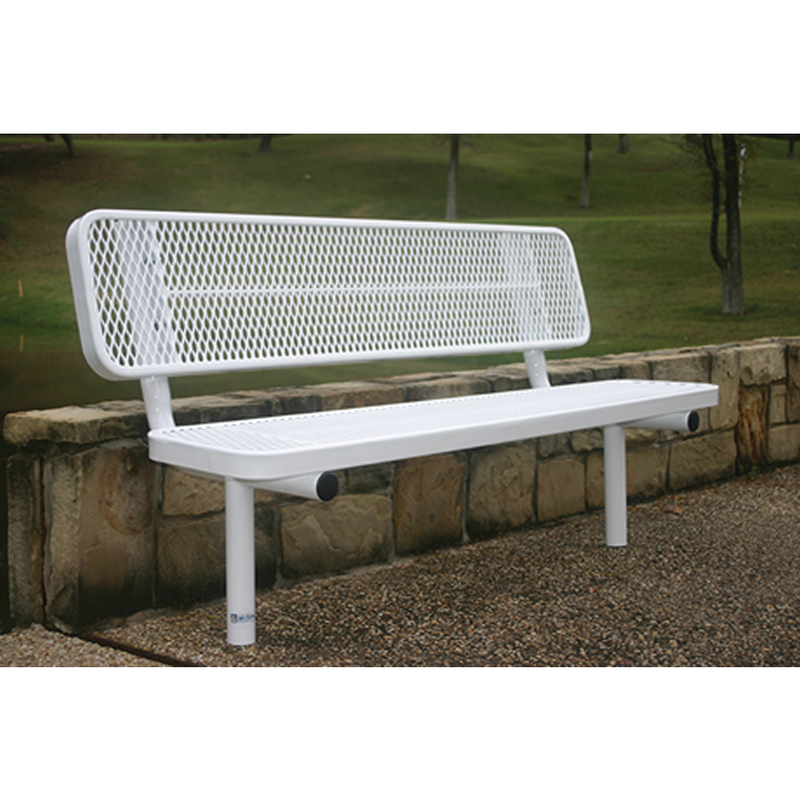 The thermoplastic is a hard, non-porous surface that allows for easy cleaning. 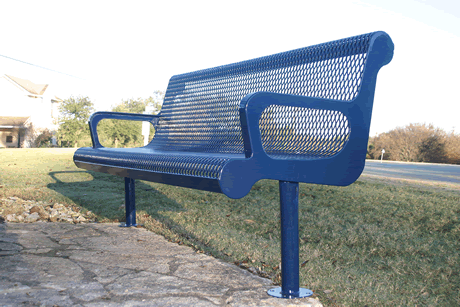 Even graffiti is wiped off with WD-40 or similar solvent. 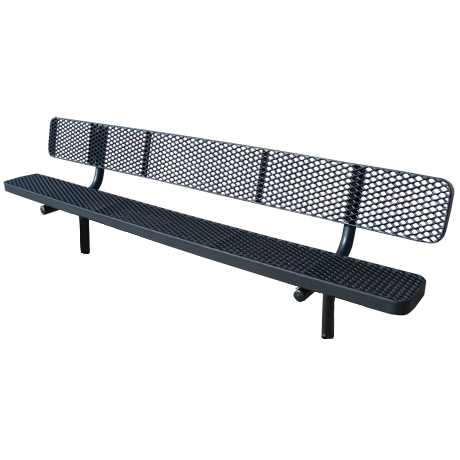 Because our thermoplastic has no plasticizers, mold & mildew are not attracted to the surface. 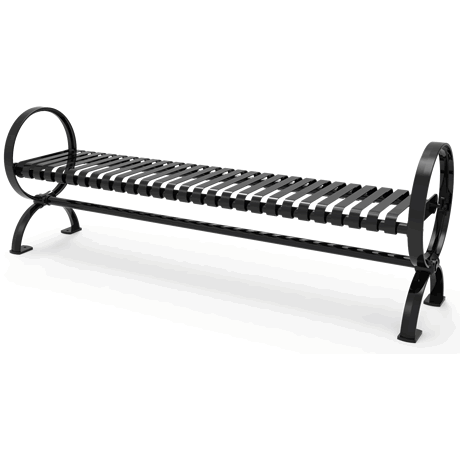 This will keep your bench looking bright and clean for more than 5 years with no scrubbing. 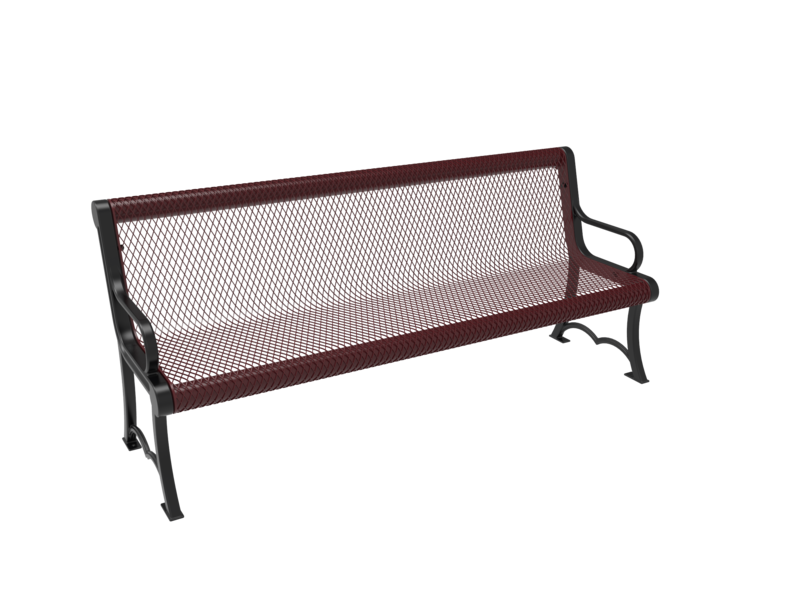 Deep scratches can be repaired so that you will never know it was there. 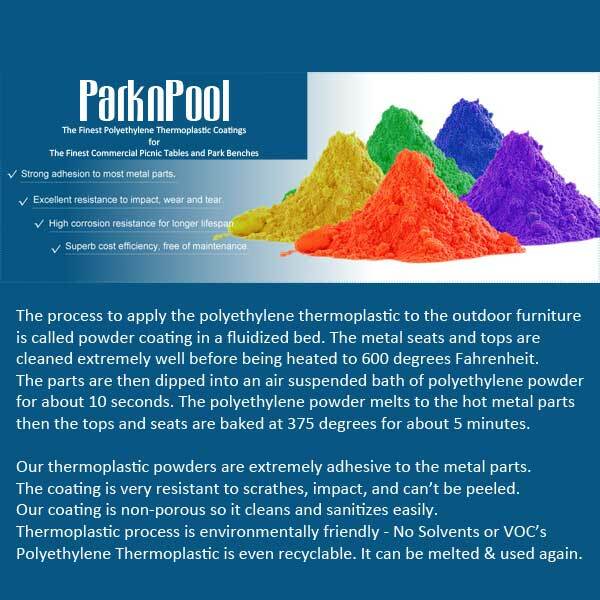 Because thermoplastic is a polyethylene, you can take some repair chips and melt new plastic into the scratch. 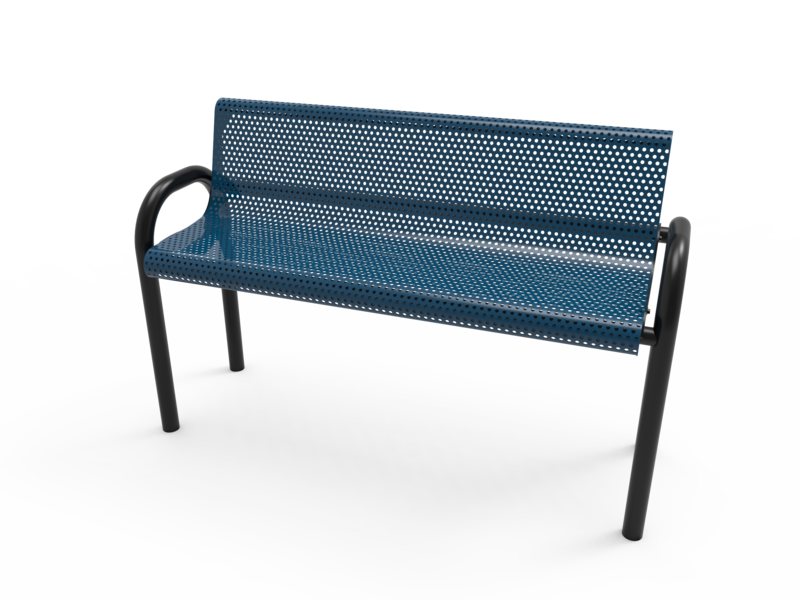 The manufacturing process for a thermoplastic coated park bench is very environmentally "clean." 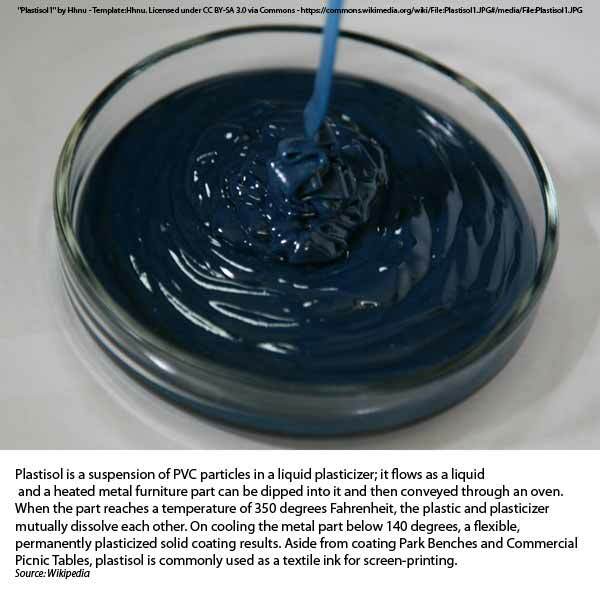 There are no solvents or VOC's to flash off into the atmosphere. 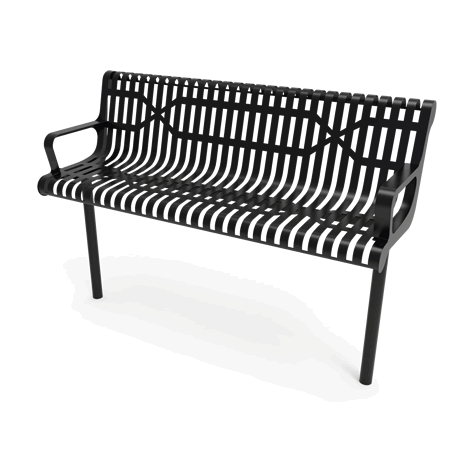 The outdoor bench legs are fully welded using galvanized "Allied Flo-Coat" tubing. 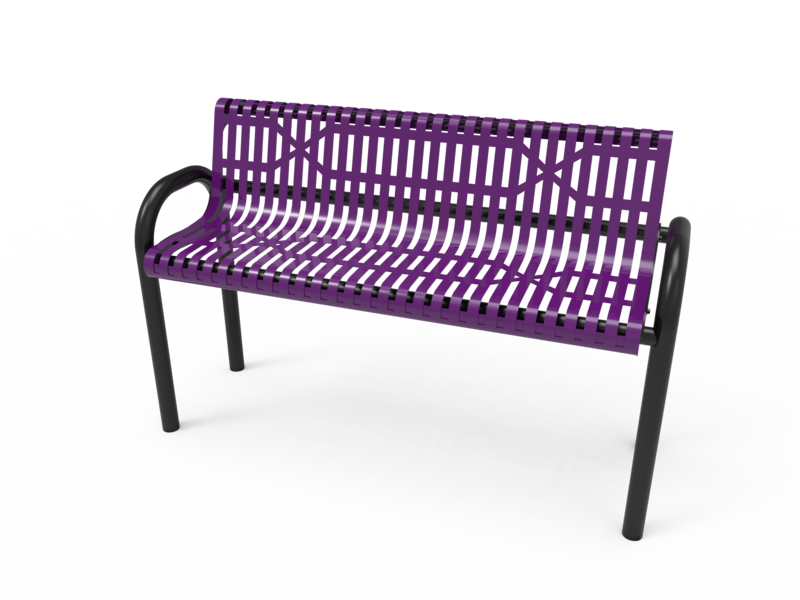 Then they are given another protective coat of "Tiger Dry-Lac" colorful powder coat finish. 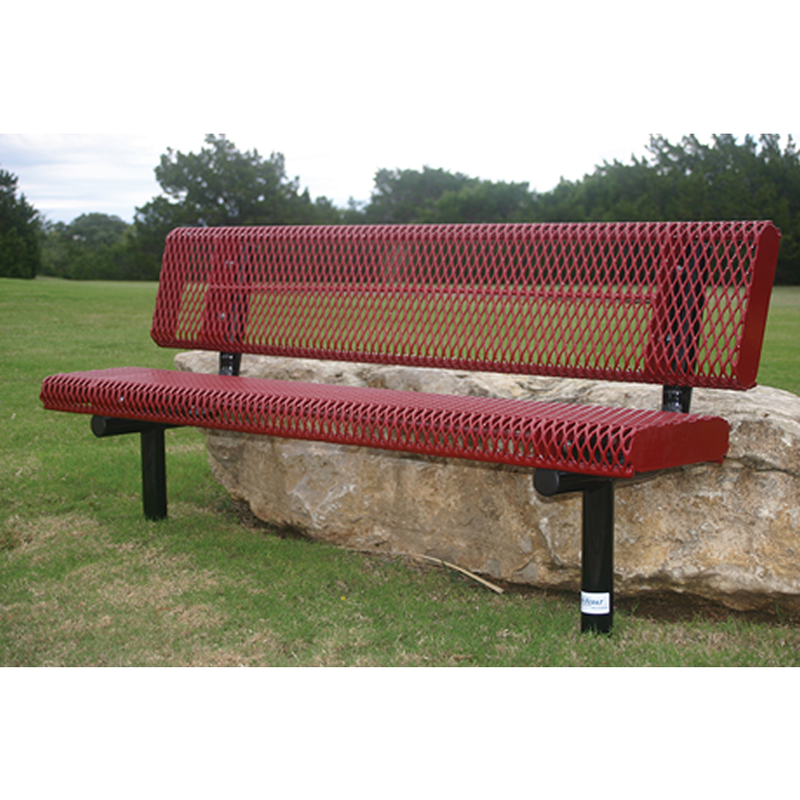 These top of the line park benches are coated with a thick resilient plastisol. 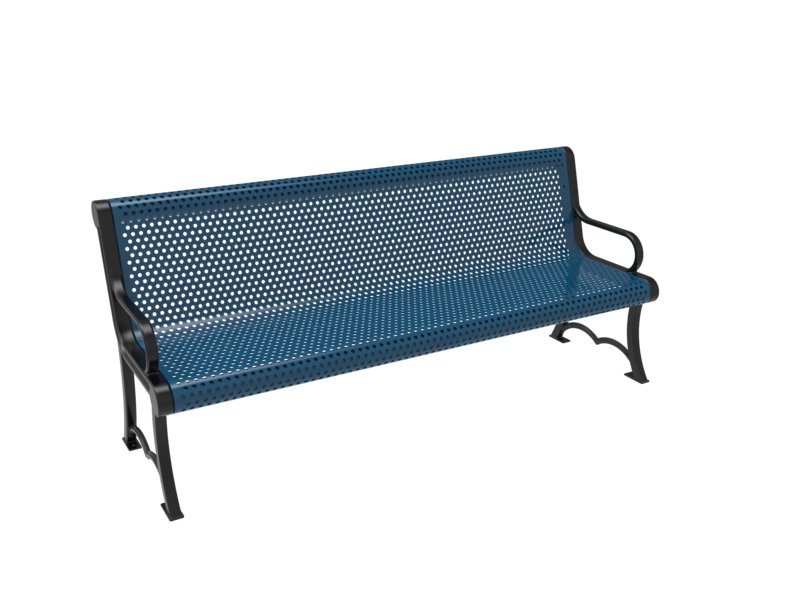 Plastisol provides a softer surface than thermoplastic. 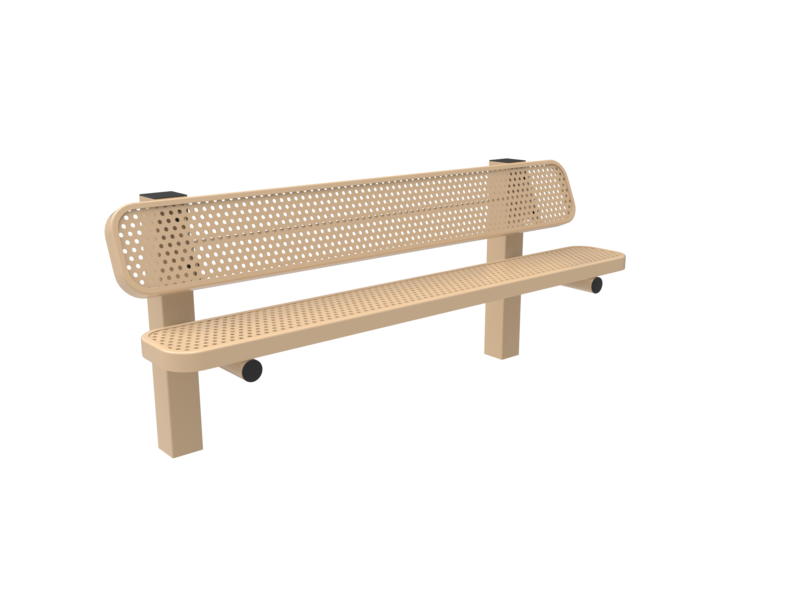 This makes the plastisol coated park benches a good choice around children. 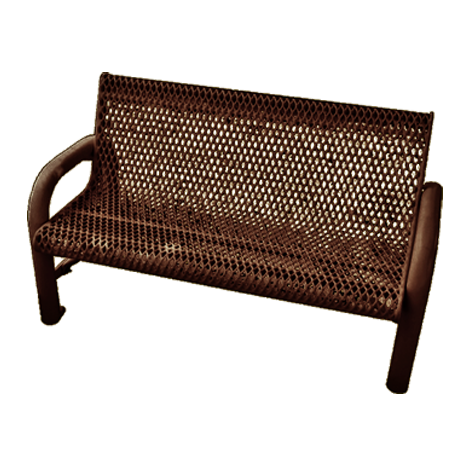 A non-leaching antimicrobial agent is added to the plastisol to prevent mildew. 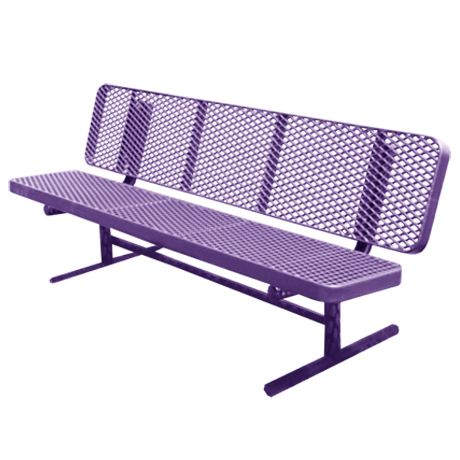 Also, the plastisol is UV stabilized to stay colorful in the bright sun for many years. 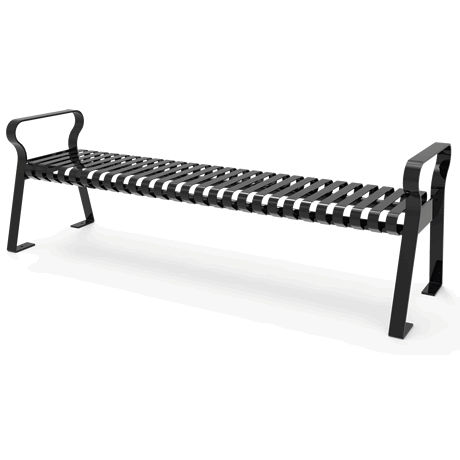 These superior benches start with the best steel. 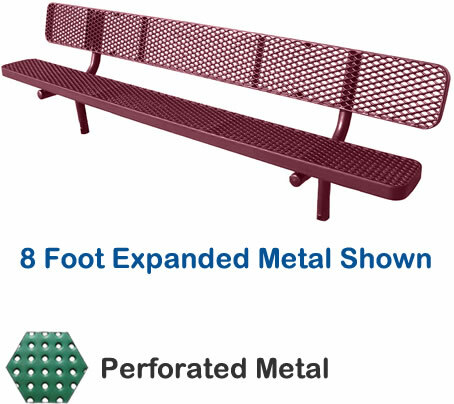 Only 3/4" #9 expanded metal or 14 gauge perforated steel is used for the top and seat surfaces. 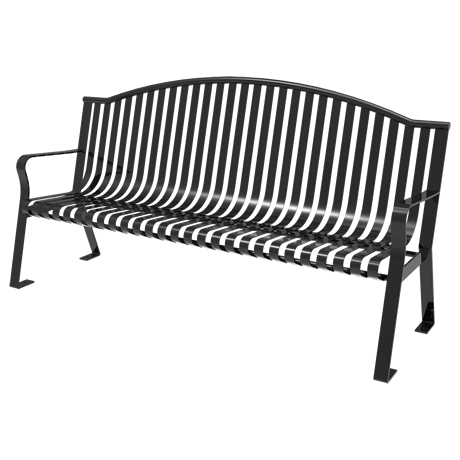 Some manufacturers use thinner steel or expand the metal to more than 3/4". 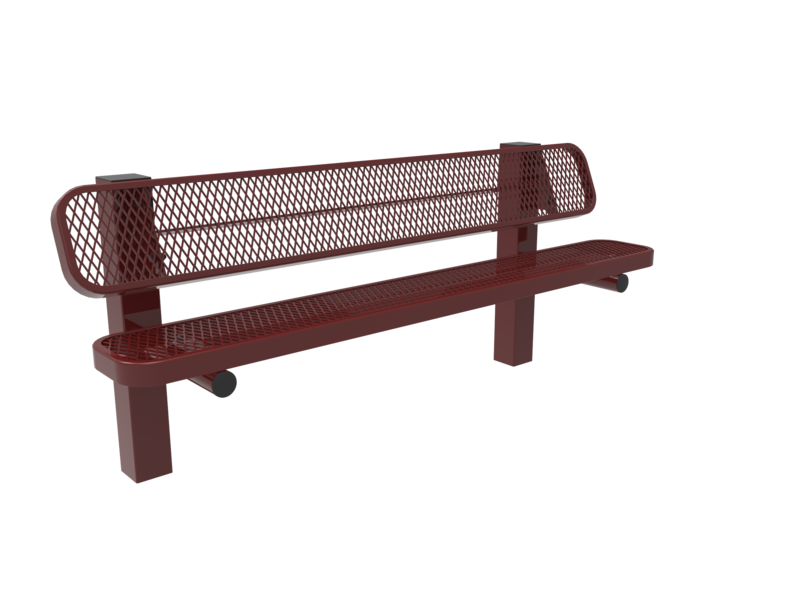 When this is done, eventually there will be sagging in the top and seats. 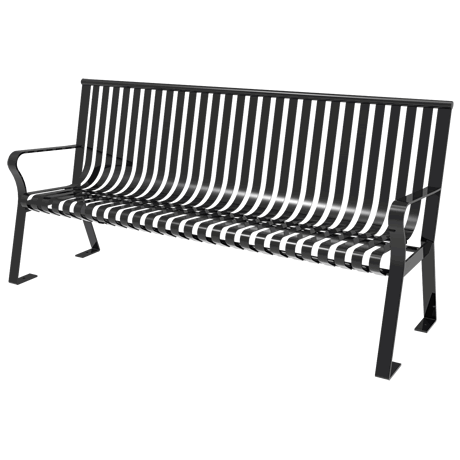 All fasteners and hardware are 304 stainless steel. 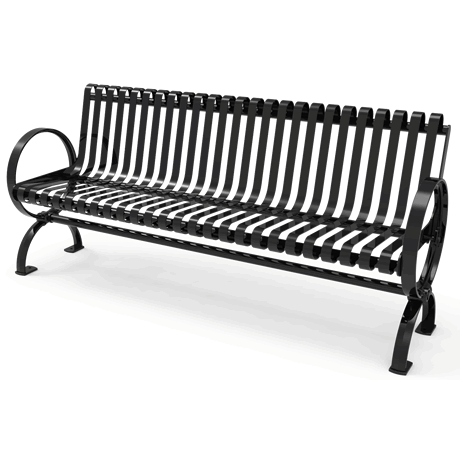 There will be no rust on this bench. 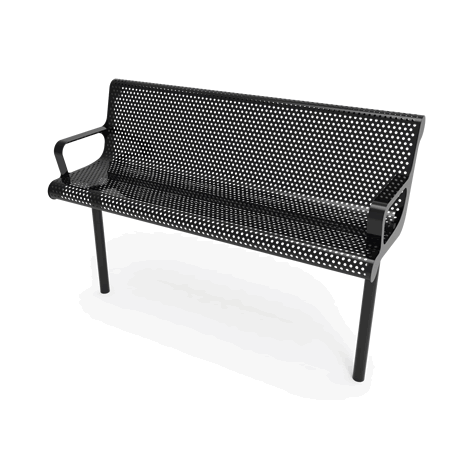 In fact, all of our plastisol park furnishings carry a 15 year warranty. 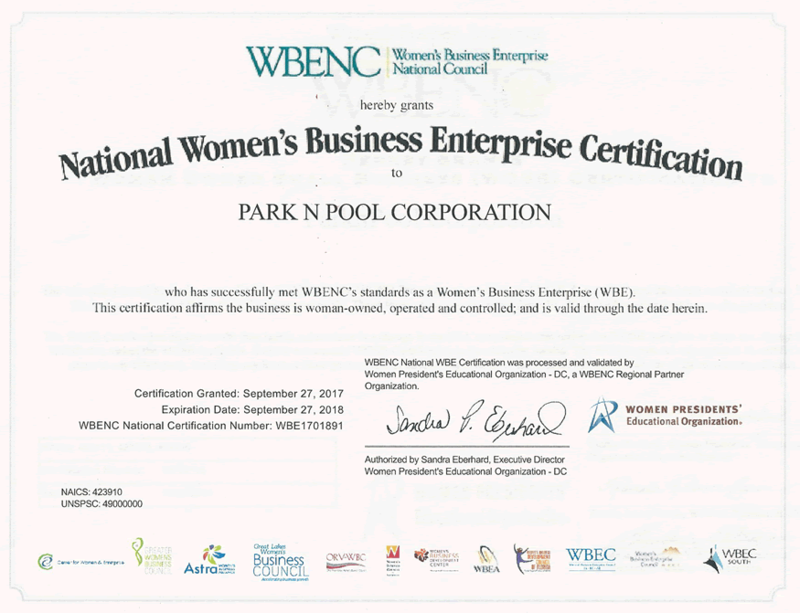 The best in the business! 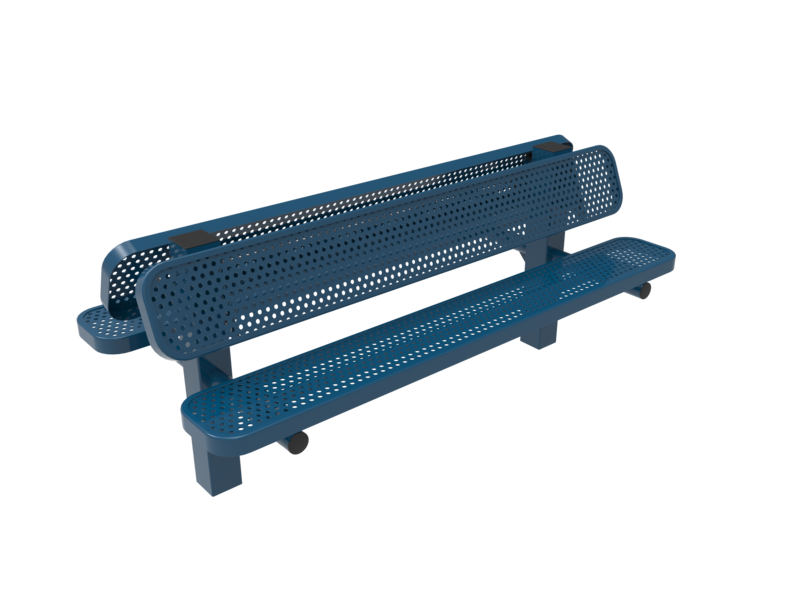 Even the bench legs are coated with plastisol to create an impenetrable surface that stands up to all climates including salt water, chlorine, and blazing hot sun. 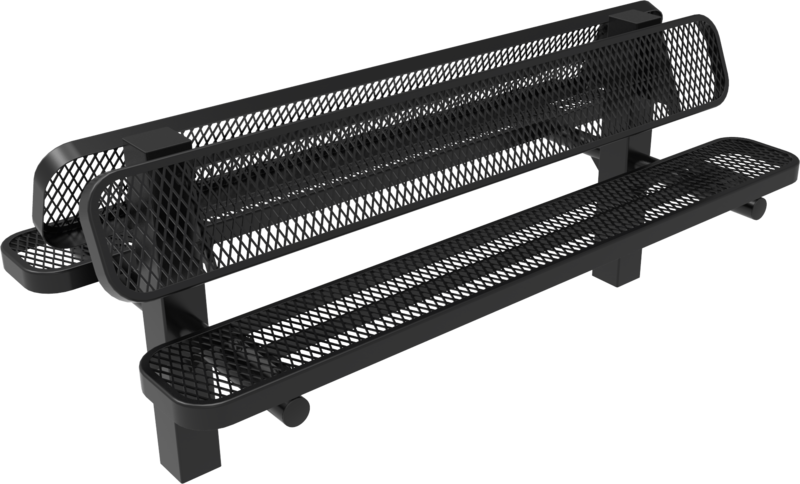 During fabrication, all of the pipe ends are welded shut to prevent bees or other bugs from nesting inside the legs. 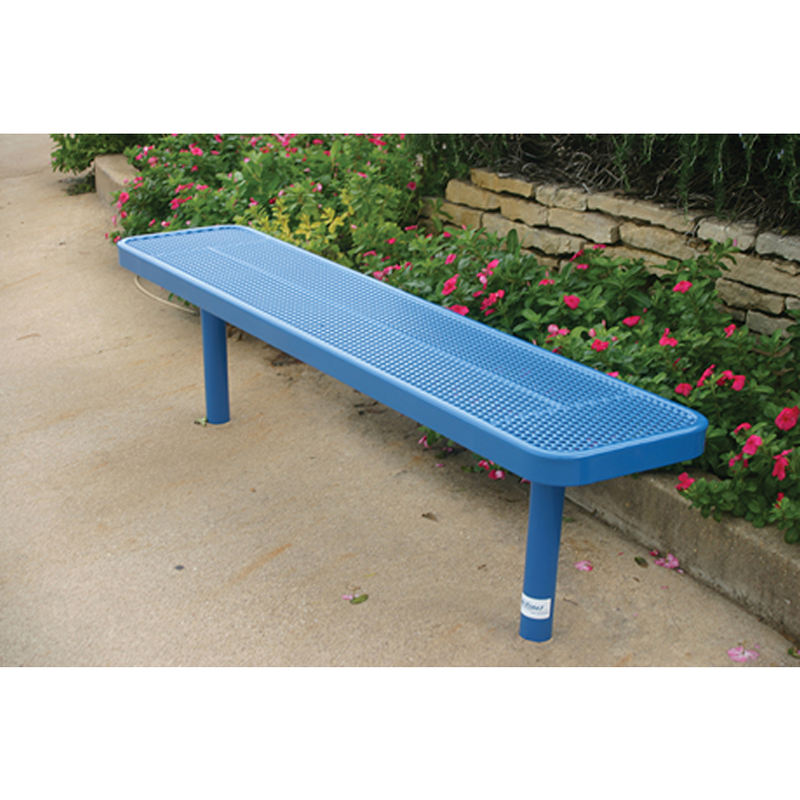 Add a splash of color to your park, eatery, schoolyard or path with one of these outdoor benches. 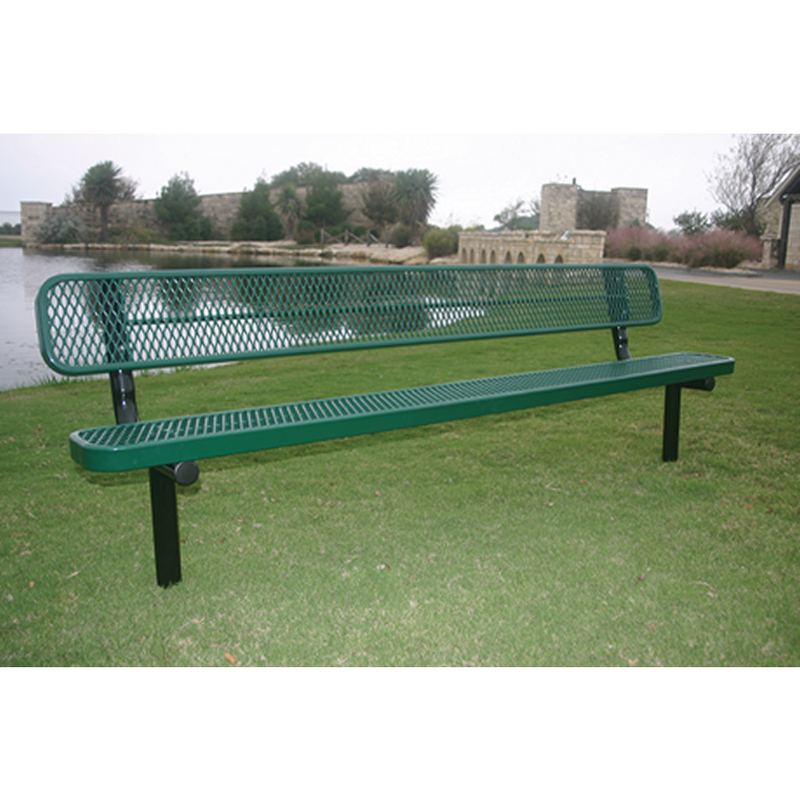 Available in a variety of mounting options and vibrant, fade resistant colors, it won’t be hard to find the best bench for your space! 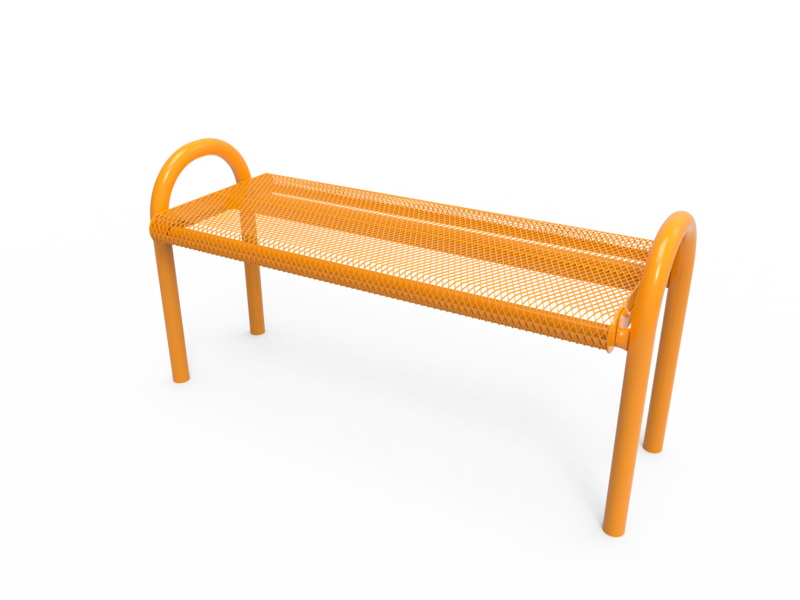 Position them anywhere outdoors (or indoors!) 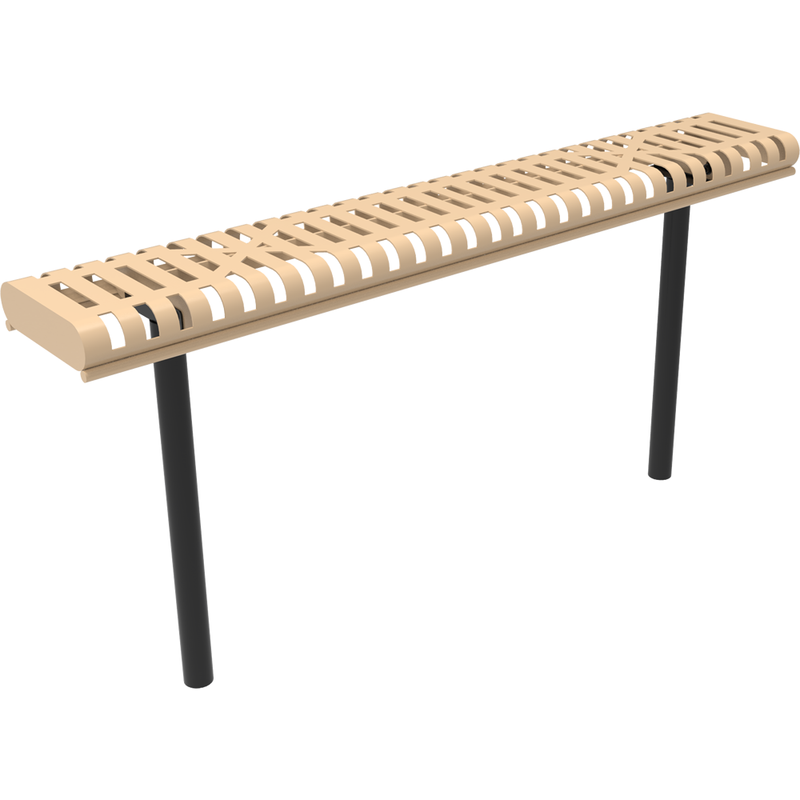 and let them be enjoyed by even the most rambunctious guests! 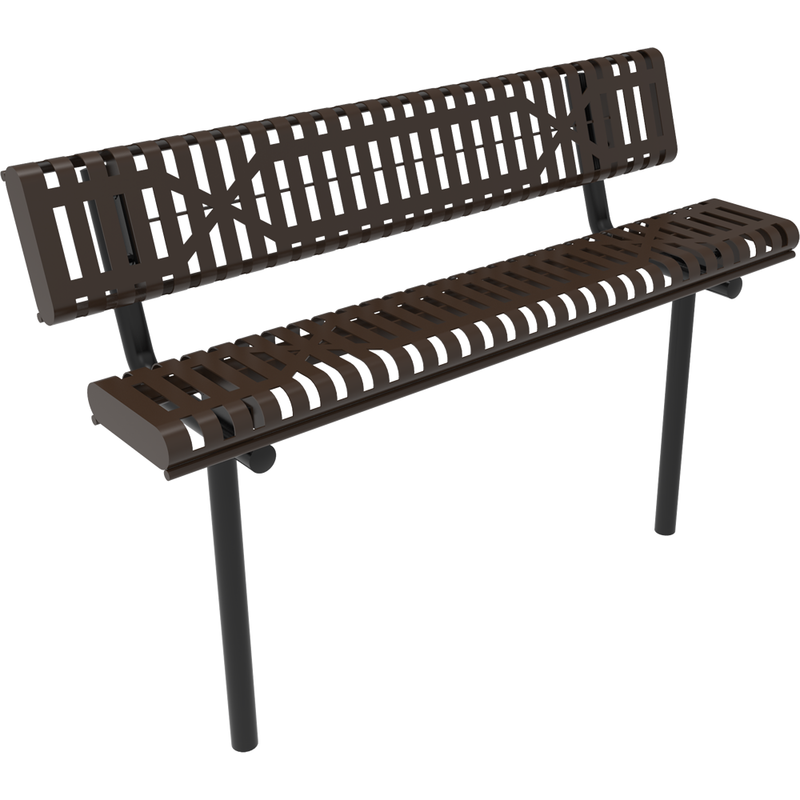 Shaded, moist areas are no match for these benches due to the anti-fungal compound, and they will stay cool in the blazing hot summer sun! 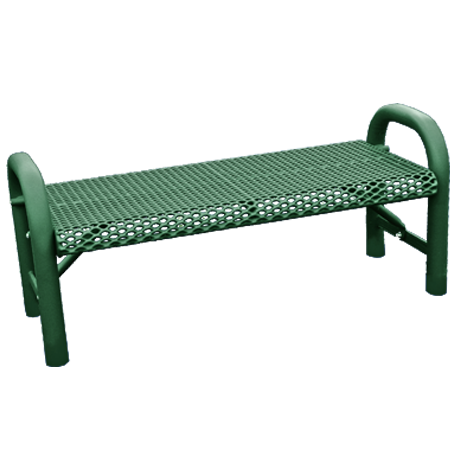 These outdoor benches are built to last with heavy gauge steel frames that are available either powder coated, or 100% coated in Plastisol. 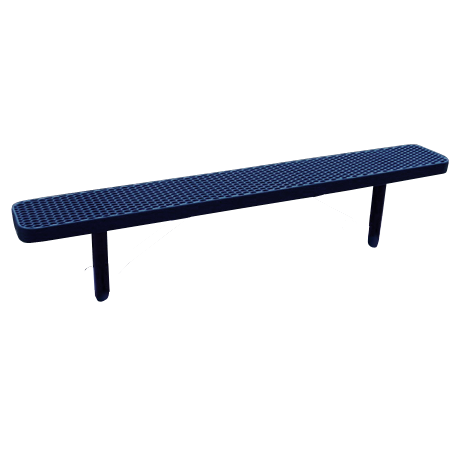 The tops and seats are available in either a Textured Polyethylene or Plastisol coating. 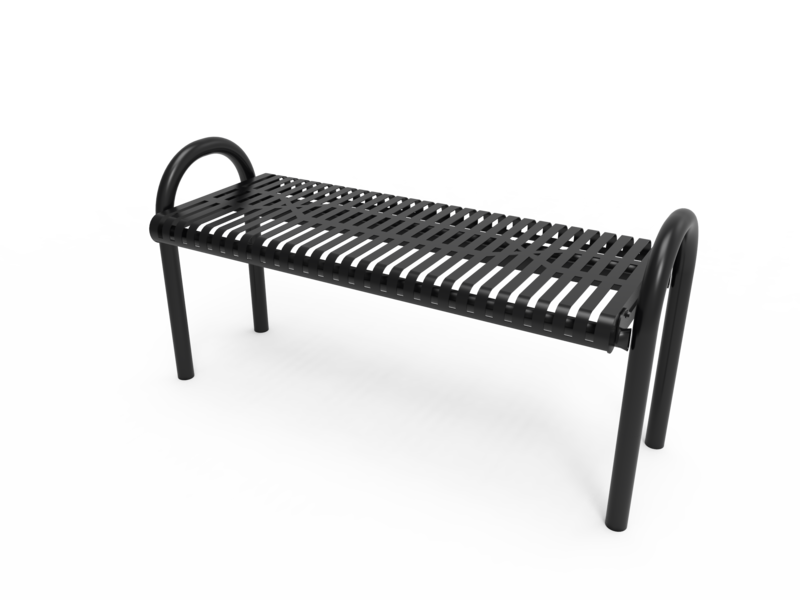 Let it rain, snow, freeze or blow – it will make no difference to you – your outdoor area will continue to look fabulous for yours! 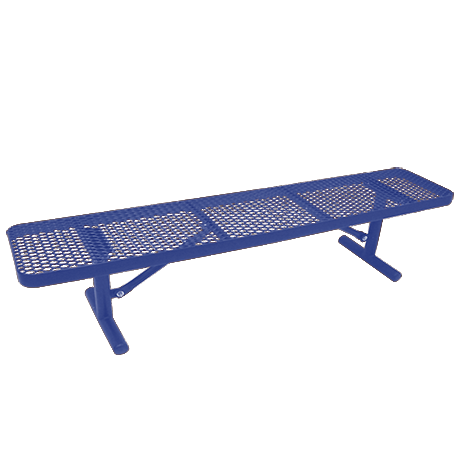 Don’t forget to coordinate your area with a matching picnic table or trash receptacle! 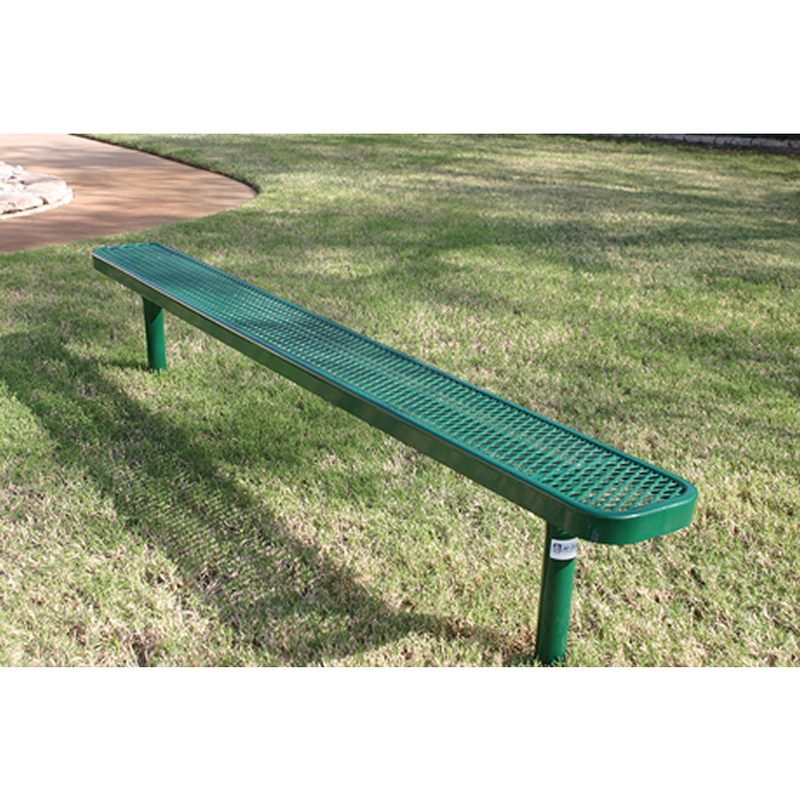 For more information concerning these items, call one of our account managers.